A couple of years ago, a friend's daughter needed a badge sewn onto her Sea Cadets uniform, so my friend asked me to do it. Before I could sew the new badge onto the shoulder, I had to remove the previous year's badge. I sat down with my seam ripper in hand and looked for a stitch I could rip first, but found the stitches were so small I couldn't find one right away. I was quite impressed with the workmanship of whoever had sewn that badge into place. I got the old one off after another moment of searching, then started stitching the new one. It was awkward holding the badge in place on the shoulder and as I maneuvered my hands into position up the sleeve, I laughed at myself. The awkwardness felt familiar. I had sewn the old badge too! I had completely forgotten. I kept stitching, amused to know I liked my own work when I encountered it unaware. Somehow these Beaver and Cub badges never got sewn onto anything. Being happy with my own work was a wonderful experience. Can I say I'm also happy with how I've lived my life? Not the circumstances of my life, but with how I've reacted to and used those circumstances. Can I look back over my personal history and say I'm pleased with what I find? The apostle Paul could. In 2 Timothy 4:7 he wrote, "I have fought the good fight, I have finished the race, I have kept the faith." Does that mean Paul thought he had lived a perfect life? Not at all. He also wrote, "I do not understand what I do. For what I want to do I do not do, but what I hate I do...For what I do is not the good I want to do; no, the evil I do not want to do - this I keep on doing." (Romans 7:15, 19) Go back and read that slowly. It helps! Even Paul struggled with temptation and being frustrated with himself for not doing what he knew he should do. Not only that, but Paul had a past that wasn't anything to be proud of. As a Pharisee, Paul had "persecuted the church of God"(1 Corinthians 15:9) until his dramatic encounter with the risen Jesus on the road to Damascus. Paul describes himself as the worst of sinners (1 Timothy 1:15, 16). So how can he also say he fought the good fight, finished the race and kept the faith? The answer is found in 1 Timothy 1:13: "Even though I was once a blasphemer and a persecutor and a violent man, I was shown mercy because I acted in ignorance and unbelief." Because of God's mercy and grace, Paul's actions before his belief in Jesus had no bearing on who he became after his conversion. After being convinced of the truth of Jesus' life, death and resurrection, Paul stayed focused on Jesus, on trying to be more like Him, and on telling others about Him. Paul wasn't perfect, but he was aiming for the right target, so he could be confident that he was going the way he should be. As for those times when Paul was disappointed in his own actions, I believe he didn't let his imperfections keep him from following Jesus. Whenever he did something wrong, he confessed it and moved on. He accepted God's gracious forgiveness, and then forgave himself. All too often, we dwell on every wrong we've ever done, refusing to forgive ourselves. That gets us nowhere. Once confessed, Go doesn't hold our sins against us, so why do we? Paul wasn't perfect. Neither are we. We won't be until Jesus comes again. 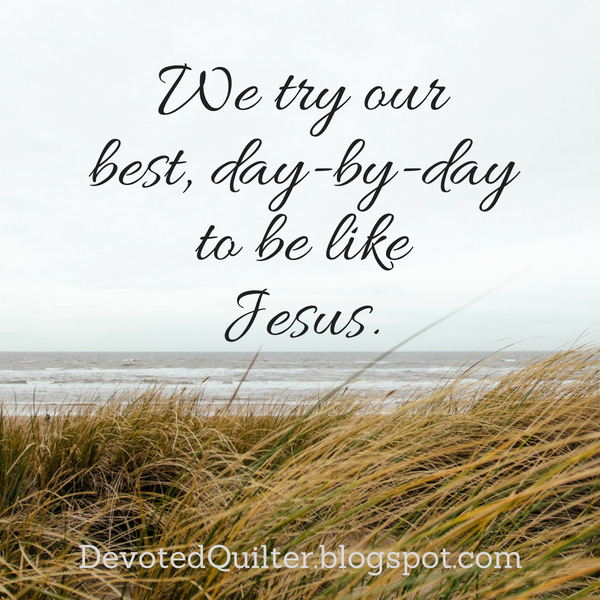 But we can hold firm to our faith and try our best, day-by-day, to be like Jesus. Then we'll be pleased with our own work as we look back over our lives.